The difference in golf and government is that in golf you can’t improve your lie……………………….unless you cheat. I have played golf most of my life, your personality and character shows on the golf course. 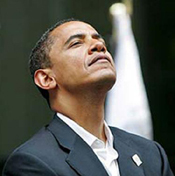 It would not surprise me if Obama wasn’t a cheat or lied about his handicap and scores, he has about everything else. Bill Clinton was known to improve his lie/cheat on the course. It’s not always what it seems. There may be another reason the Gov wants to un-militarize law enforcement. U.N. Military vehicles are being stockpiled near Bastrop Fed. Pen in Texas. U.N. vehicles have been spotted for years on the U.S. Highways. I have no idea how long they have been stockpiling. They are not being inventoried here to be used elsewhere. I have a brother who is a truck driver and has seen U.N. trucks rolling down the interstate, recently. At one time the vehicles were unmarked, now they are clearly marked “U N”. They have no business here. The presence of U.N. military vehicles in our country is due to our governments distrust of We the People, rightfully so, that may be one thing they do understand about Americans, we will only take so much. Where there are U.N. military vehicles, U.N. (internationals) troops will follow. Photo above courtesy All Texas Net. Why does bad news always out weigh and out number good news? Why do we rush towards the bad and disasterous? Is it our makeup? We give the bad and spoiled too much attention. I thrive for good news, lets make good news-together. I always felt it was disrespectful to address someone just by their surname, especially when you know their full name or office they hold. These four assholes deserve no respect whatsoever; they are Obama, Biden, Kerry and Hagel……lets throw in a bonus name of Holder making it 5. There is absolutely no excuse, not one, that all of them would miss the funeral of Major General Harold Greene. This man who gave most of his life serving our country contributed more to this nation than these 5 stink bombs combined. They have done nothing but bring embarrassment and disgrace upon our people. This coming from the office of the commander-in-chief is an insult to the Greene Family and all the military. This nation is without a president and vice president…………just because you are seated in the oval office and took an oath (with your fingers crossed) does not make you a president. Obama, you do not deserve nor have you earned the right or respect to be addressed as Mr. President. WHAT IS YOUR GAME PLAN MR. PRESIDENT? Mr. Obama, Mr. President, we need and demand a little honesty. What is your game plan, do have one? The country is a mess and you can not continue to blame George Bush, Republicans or Congress any longer. We face many issues, and quite frankly we don’t know where you stand on most. Oh, we know what you have said in the past on occasion, like the children will be returned when they cross our border, but we never see evidence of your spoken word. ISIS, what will you do about this terrorists threat? Mr. Obama, do you have a plan, any ideas? Do you have a clue? Do you communicate with foreign leaders, discuss world problems of mutual interests? Do you have any interests, other than apologizing for past American policy. Barack, we want to hear from you, we want to know your game plan. You place more interest and planning in a round of golf than you do your job. What can we expect from you going forward………just finishing out your term? Many questions, we have more we could ask. Show a little leadership. Careful you all, you’ll be labeled paranoiacs like I have, just don’t let the name callers keep you from speaking the truth.